WASHINGTON (AP) — The Federal Reserve is set Wednesday to raise interest rates for a third time this year and possibly modify the likely direction of rates in the months ahead. The Fed’s key short-term rate — a benchmark for many consumer and business loans — now stands in a range of 1.75 percent to 2 percent after two quarter-point increases in March and June. A similar rate hike Wednesday would raise that range to a still-low 2 percent to 2.25 percent. Many analysts expect the economy to eventually weaken, in part from the effects of the conflicts Trump has pursued with China, Canada, Europe and other trading partners. If the economy should slow sharply in 2019, the Fed might decide to pull back on its rate increases to avoid hampering growth too much. In that scenario, it might raise rates only twice in 2019 and then retreat to the sidelines to see how the economy fares. Some analysts, though, say they think the momentum built up from the government’s economic stimulus will keep strengthening the job market and lowering unemployment — at 3.9 percent, already near a 50-year low. A tight job market could accelerate wages and inflation and prod the Fed to keep tightening credit to ensure that the economy doesn’t overheat. 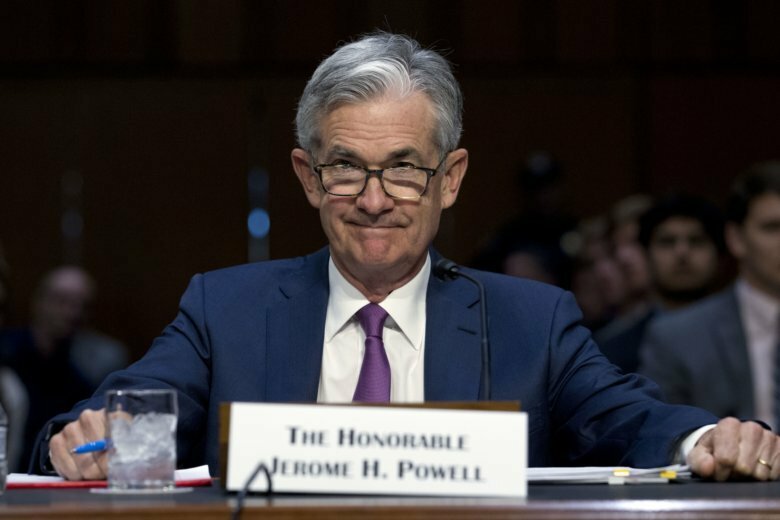 Any light the Fed might shed on those questions could come in the statement it will make after its latest policy meeting ends, in updated economic and rate forecasts it will issue or in a news conference that Chairman Jerome Powell will hold afterward. The modest rate increase that’s widely expected reflects the continued resilience of the U.S. economy, now in its 10th year of expansion, the second-longest such stretch on record. Most analysts expect the Fed to signal that it plans to raise rates a fourth and final time this year, presumably in December. The Fed’s rate increases typically lead to higher rates on some consumer and business loans. Doves focus on the Fed’s mandate to maximize employment and worry less about inflation. Hawks tend to concern themselves more with the need to prevent high inflation. One Fed board member, Lael Brainard, a leading dove, earlier this month surprised some with a speech that emphasized her belief in the need for continued gradual rate hikes. By its latest reckoning, the Fed estimates its “neutral rate” — the point where it’s thought to neither stimulate nor restrain growth — at around 2.9 percent. Two more hikes this year and two in 2019 would lift the Fed’s benchmark rate to that level. Many economists worry that Trump’s combative trade policies could significantly slow the economy next year. Trump insists that the tariffs he is imposing on Chinese imports, to which Beijing has retaliated, are needed to force China to halt unfair trading practices. But concern is growing that China won’t change its practices, the higher tariffs on U.S. and Chinese goods will become permanent and both economies — the world’s two largest — will suffer. Powell has so far been circumspect in reflecting on Trump’s trade war. The Fed chairman has suggested that while higher tariffs are generally harmful, they could serve a healthy purpose if they eventually force Beijing to liberalize its trade practices. In the meantime, economists are divided over how many Fed rate increases are likely in 2019. The projections range from as few as two to a total of four.